West Virginia offensive coordinator Shannon Dawson is leaving to take a similar post at Kentucky, FootballScoop learned on Wednesday evening. An original member of Dana Holgorsen’s staff at West Virginia, Dawson served as inside receivers coach in 2011, was promoted to offensive coordinator/receivers coach in 2012 and then transitioned to offensive coordinator/quarterbacks coach over the past two seasons. The Mountaineers ranked 13th in yards per play and ninth in scoring in 2012, then fell to 69th and 79th in an injury-plagued 2013 season before improving 20 and 41 spots, respectively, this season. Dawson’s offenses made stars of wide receivers Tavon Austin and Stedman Bailey, in 2011-12, and Kevin White this season. Dawson will stay on with West Virginia through the Dec. 29 Liberty Bowl against Texas A&M before reporting to Lexington. Moving to Kentucky gives Dawson an opportunity to run his own show on offense, an opportunity that was not available while working under Dana Holgorsen at West Virginia. 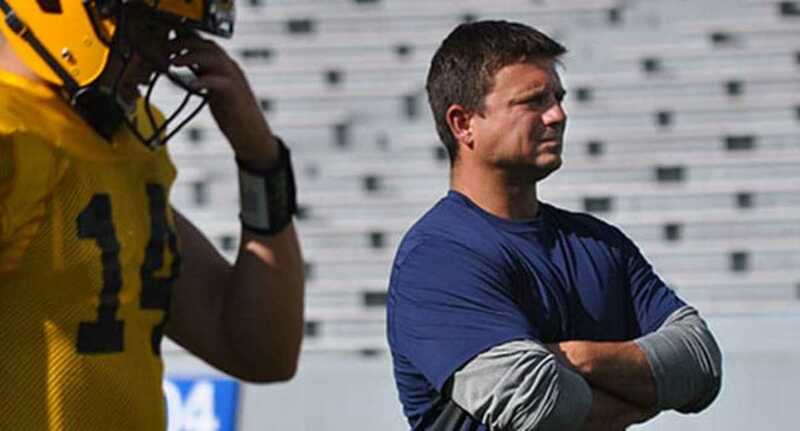 Dawson replaces Neal Brown, who accepted the head job at Troy on Nov. 30. The Wildcats finished 66th in scoring and 77th in yards per play in 2014, improving from a 2-10 debut under head coach Mark Stoops to 5-7 this fall. Dawson made $251,000 in 2014, while Brown earned $550,000, according to the USA Today coaching salary database. Dawson served as offensive coordinator at Millsaps (D-III – MS) and Stephen F. Austin before landing at West Virginia.